New earrings and necklace just finished! 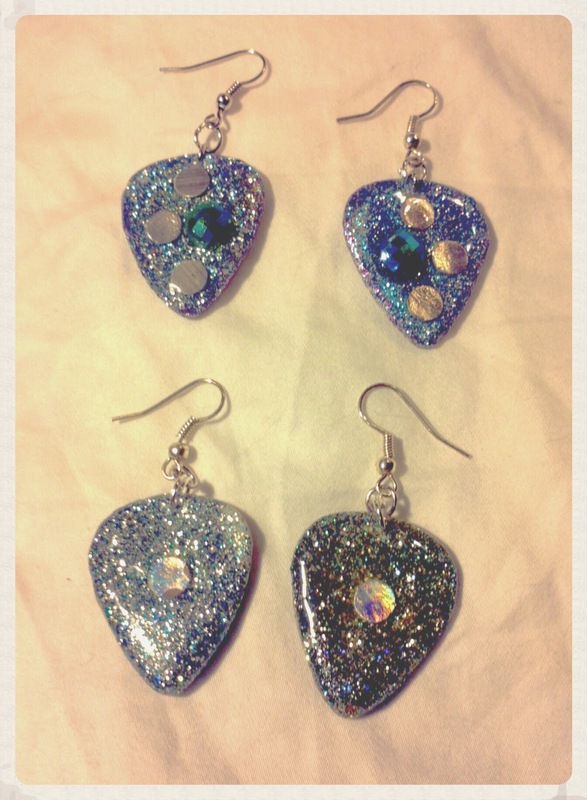 2 pairs of blue, purple and green painted picks with different hues of glitter. Earrings are packed with glitter and shine! 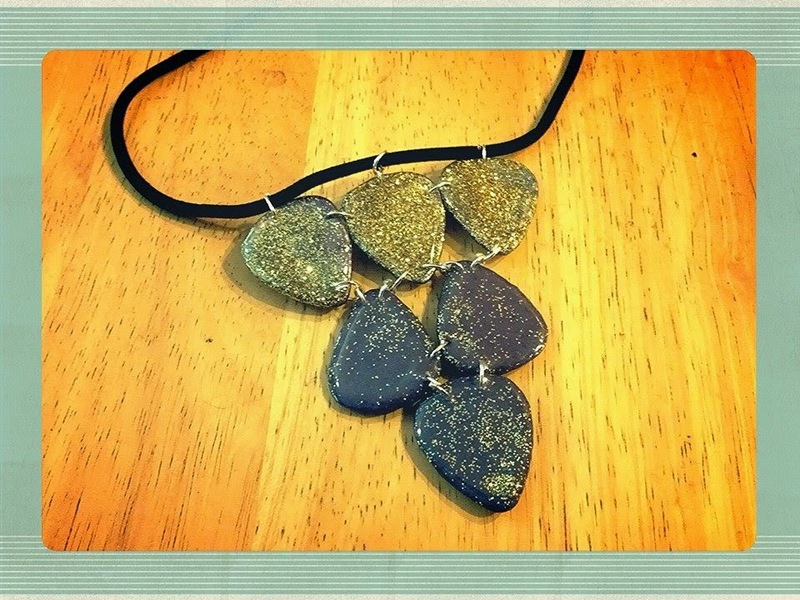 Color changing guitar pick necklace! Bottom picks are color changing (from purple to blue) and the top are iridescent and covered in gold glitter.